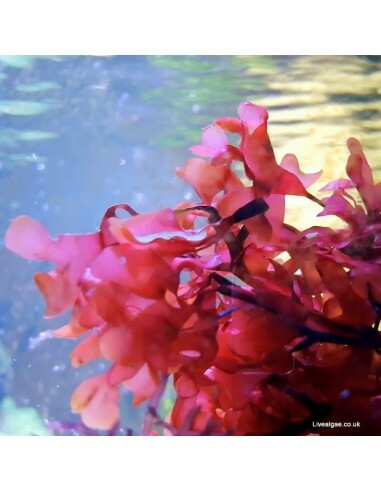 The Gracilaria Hayi or often called Red Bush marine macro algae is a beautiful algae for the Tank Display and will be surely become fast an optical highlight in every marine aquarium. This macro algae has a fluorescent red colour and features rigid, irregular shaped branches that will form a symmetrical bush. By buying this product you can collect up to 23 loyalty points. Your cart will total 23 points that can be converted into a voucher of £ 0.46. This colour of the Gracillaria Hayi algae will vary depending on the light its get. It will become darker when it gets less light, and brighter when it gets more light. Gracilaria Hayi is very tasty for especially some tang species and other herbivorous fishes, therefore we recommended to keep it in a safe place until you like to offer it as additional food to your fishes. As the Red Bush marine algae won't easily attach itself it can be easily glued ( we use thick cyanoacrylate super glue ) to rock where you like to have it, or just place it in between your rockwork and it will attach itself after a few weeks. 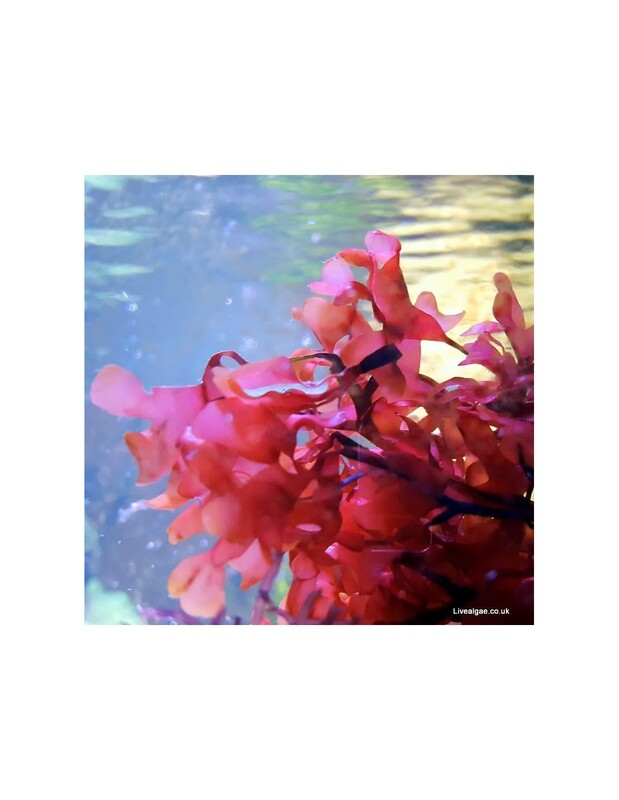 Like for most marine macroalgae a higher level of Nitrate and Phosphate, in addition with the supplement of Iron, Magnesium and Trace elements will improve the growth of this macro algae. This is a very hardy marine macro algae and therefore highly recommended. It is a beautiful red colour and brightens up my aquarium. Arrived with the bright red colour exactly like the picture and a good size portion too. Very fast delivery and the algae looks great. Thank you. High recommend.